Petergoff Palace is a series of palaces and gardens located in St. Petersburg, Russia, laid out on the orders of Peter the Great. A spirit embraced by the bold. A spirit just as fabulous as yours. Drink like royalty without spending like one. 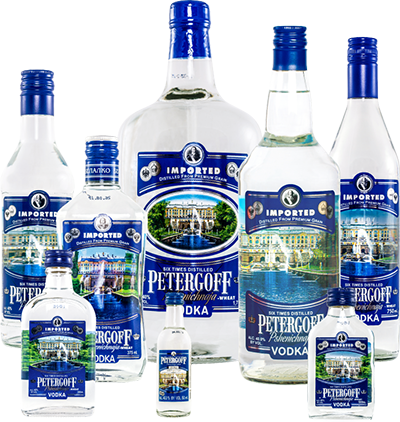 Petergoff Vodka’s classic quality and excellent price is a tradition we live by. Enjoy it with friends and family in your palace. With a taste smoother than silk and richer than the cities of gold. 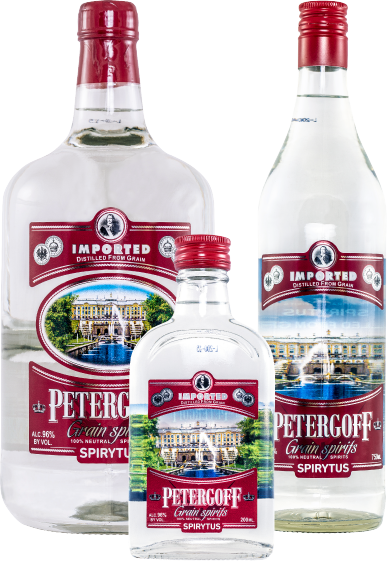 A spirit ﬁt for royalty, but made accessible for all. Clear bright clear color. Mild, citrusy aromas and flavors of wet clay, cereal, and nougat with a soft, bright, dryish medium body and a warming, compelling, buoyant sweet cream, powdered sugar, and glycerin finish. 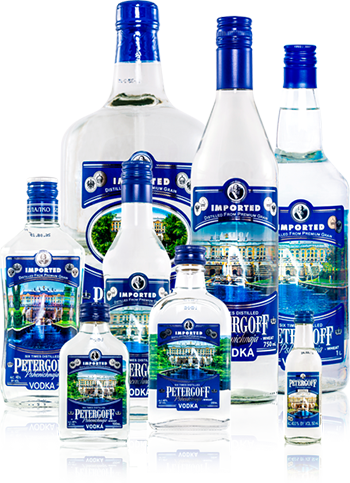 A very clean and delicate vodka that will be very versatile. Bottom Line A lively and nicely layered pepper vodka that will be great in cocktails. Brilliant light red color. Lively, fruity, aromas of cranberry chutney, and mixed peppercorns with a satiny, racy, off-dry medium-to-full body and a peppery, appealing, medium-length berry-peppery jelly, and honey. 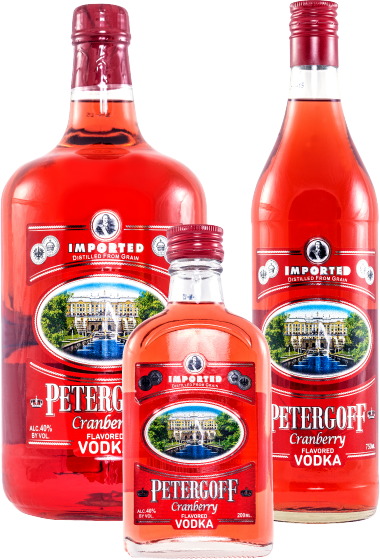 A spicy, peppery cranberry vodka that has an almost amaro like quality that opens up interesting cocktail possibilities. Bright clear color. Bright, citrusy, creamy aromas and flavors of lemon pudding cake with a soft, bright, dry-yet-fruity medium-full body and a peppery, interesting, easy lemon gelatin and rice candy and peppery spice finish. 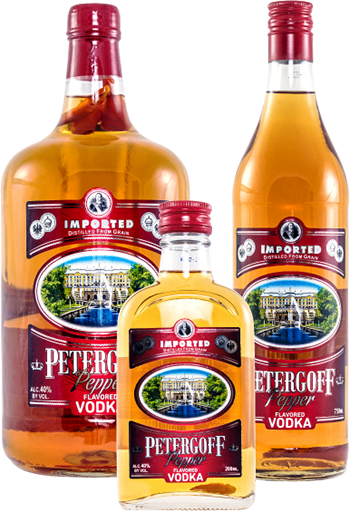 A vivacious, nicely balanced and pure lemon vodka.